Mickey Leland College Prep 1700 Gregg St.
University of Scouting is a semi-annual training event for unit, district and council leaders, parents and youth in troops, crews and ships. It is an action-packed, fun-filled single day of supplemental training where participants choose from over 100 courses. 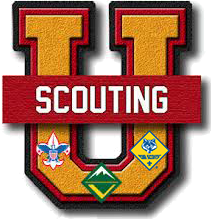 For more information, visit www.shac.org/university-of-scouting. Before 3/2/2019 a discount of $5.00 will apply to all Adult participant Registrants.